Petra Kalive trained at the Western Australian Academy of Performing Arts (2004) and has since been working professionally as an actor, director, dramaturg and writer. Her adaptation of Peter Goldsworthy’s novel ‘Three Dog Night’ toured nationally. She was appointed Dramaturg at Red Stitch in 2009-2012, was Assistant Dramaturg at the Malthouse in 2010, and was supported by the Australia Council to attend the New Visions/New Voices Festival at the Kennedy Centre in Washington D.C. in 2012. Petra is currently Artistic Director of Union House Theatre at Melbourne University, where she mentors emerging artists and directs theatre. 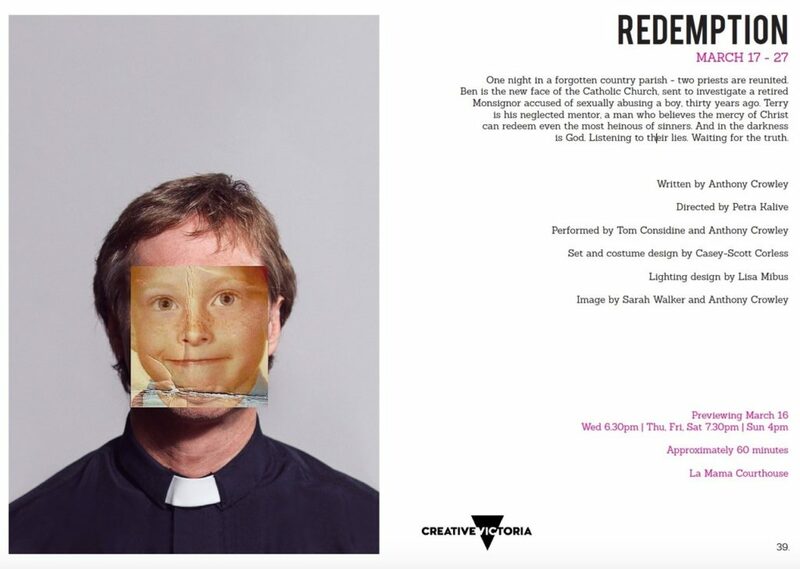 For Melbourne Theatre Company Petra has directed the Patrick White Award Winning Play ‘Beached’, ‘Melbourne Talam’, ‘The Kingdom of Cha’ and worked as Assistant Director on ‘Constellations’. She has also worked as a director for Sydney Theatre Company, Arena Theatre Company, Complete Works, St Martins Youth Arts Centre and Monash and Latrobe Universities Performing Arts Programs. She was Co-Artistic Director of Melbourne Playback Theatre Company from 2011-2014. In 2017 Petra received a Green Room Award nomination for Best Direction in Independent Theatre for ‘Taxithi: An Australian Odyssey’. Petra’s recent directing credits include: ‘Melbourne Talam’ at MTC, ‘Taxithi: An Australian Odyssey’ at fortyfive downstairs, ‘Redemption’ at La Mama and ‘Mirror’s Edge’ at Melbourne University. Petra is currently undertaking an MA in Theatre Practice at the Victorian College of the Arts.